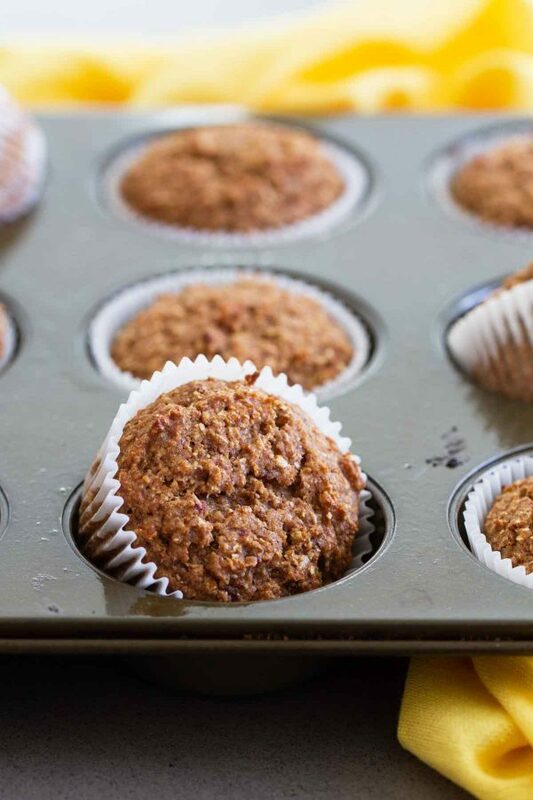 This recipe for Whole Wheat Bran Muffins is a great way to start your day! 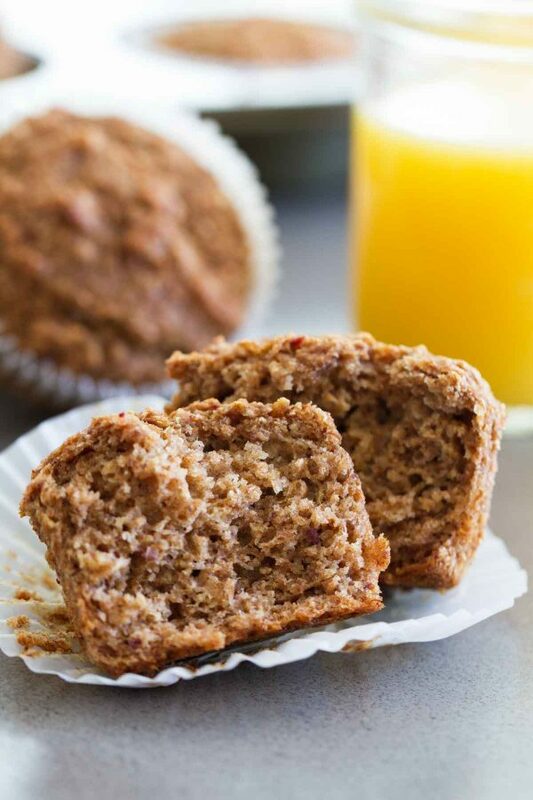 Filled with whole grains and sweetened with bananas and dates, these muffins are healthy, hearty and delicious! We are almost halfway through February – how many of you are still sticking strong to your New Year’s resolutions? I have always been a moderation in all things kind of person, but the older I get, the more I realize that moderation actually changes as you age. More healthy and less indulgences is the only way to keep things in balance. But luckily, healthy eating doesn’t necessarily mean chicken breasts and boiled eggs every single day. 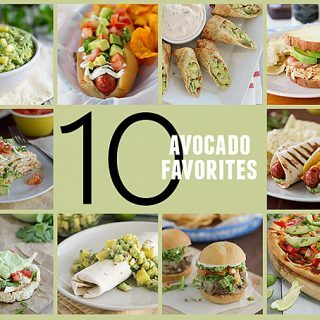 There are so many resources out there today, and so many great, healthy recipes that actually taste really good, too. I’ve been cooking from a few healthy cooking cookbooks lately, and I am going to share one with you all, today! 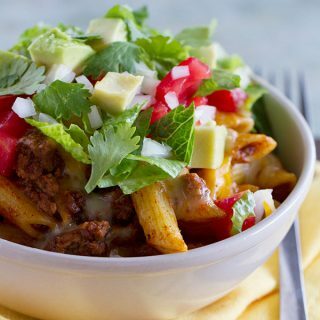 Cooking That Counts – by the editors of Cooking Light. 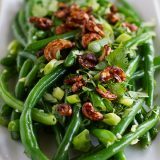 I used to be a subscriber to Cooking Light, and made the recipes all the time. And I still love their recipes to this day. I was super excited for this cookbook and for even more delicious but good for you recipes. Pros: I have always been a devout menu planner, so seeing the 30 day meal plan in the beginning of the book was one of my favorite things. 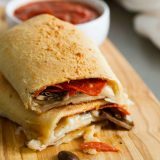 I would love to follow it completely (but alas, life as a food blogger doesn’t allow me to do that), and it looks totally doable and delicious at the same time! I also love that the basic meal plan is a 1200 calorie meal plan, but there are additions each day to take that to a 1500 calorie plan. Or if you need to go higher than that, there is a whole chapter at the end with ways to bulk up the recipes. So the meal plans are very versatile. 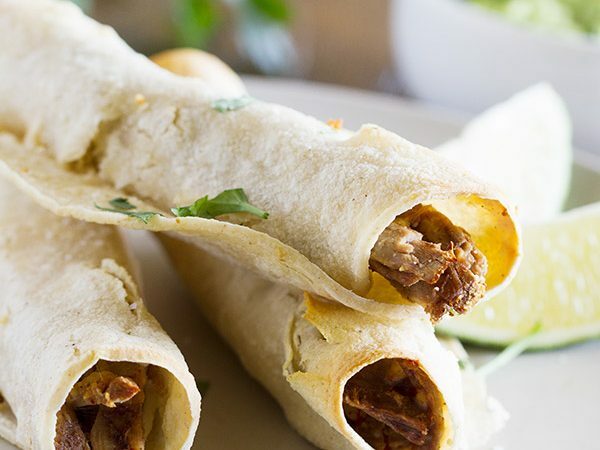 I also love that the recipes are super easy, and most of them are super fast, as well. Also, many times, “diet” cookbooks have a lot of recipes that don’t really appeal to me. That is not the case with this cookbook. 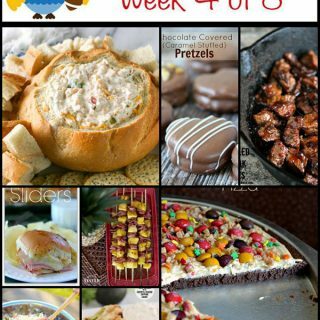 I really think that almost every recipe looks good, and I would definitely be willing to try them all. Cons: I really don’t think I have any cons with this book! The only thing I can think of that I would like is a grocery list since the menus are already planned out. That would save some time and effort. They do talk about their online subscription service that will generate a grocery list, so if I was really following the menus to a t, I would definitely check that out. 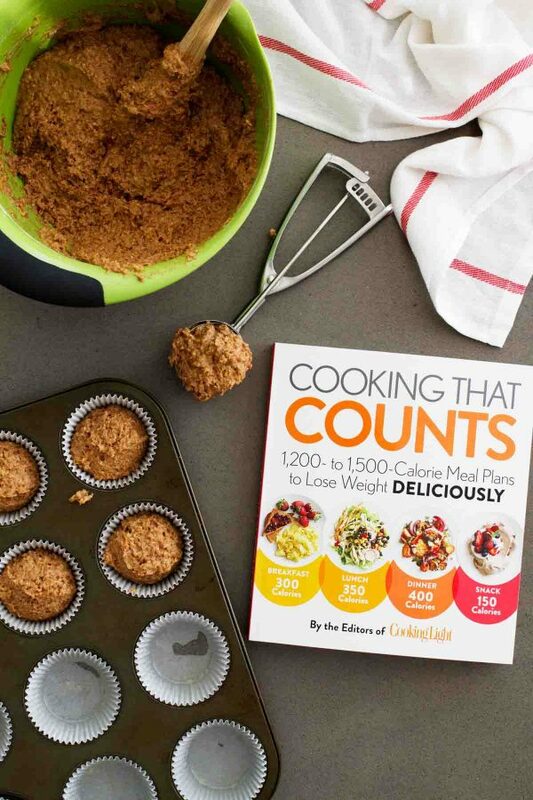 Buy Cooking That Counts on Amazon. Breakfast seems to be the busiest time in my house. The kids have to get up and eat and get ready for school. And I’m not a morning person, so that doesn’t help much, either. So in the rush and craziness, oftentimes, cereal is the name of the game. Or I won’t even have breakfast until I get the kids off, oftentimes working out after that, so my breakfast sometimes doesn’t happen until 11am. I know, not the healthiest. So as I looked through this book, I thought I would find a recipe that I could make ahead of time to have in the mornings. And muffins were my answer! All of the muffin recipes actually looked really good, and I’m sure I’ll be trying all of them eventually. But these Whole Wheat Bran Muffins had to be my first choice. I actually really love bran muffins. 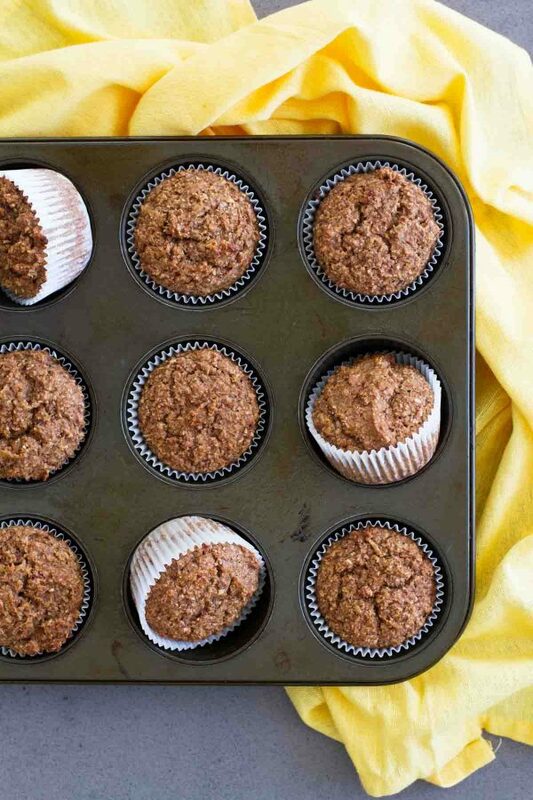 Which is why I’m surprised I don’t have a favorite bran muffin recipe of my own. 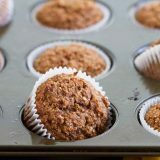 In fact, the only other bran muffin I’ve ever posted is this Peanut Butter Banana Bran Muffin Recipe, and I’m pretty sure the peanut butter glaze takes those out of the running for a healthy breakfast choice. 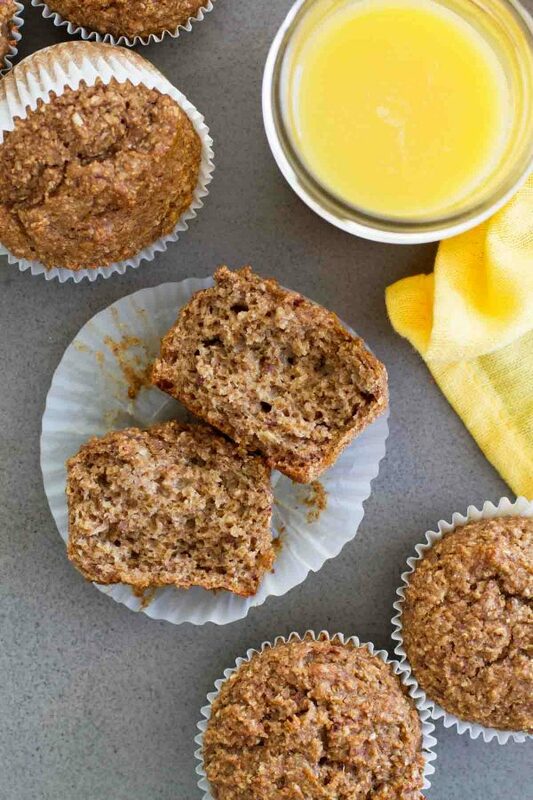 These Whole Wheat Bran Muffins are free of refined sugar – they are simply sweetened with dates and banana. I couldn’t taste the date flavor and the banana was very subtle to me, but my husband claimed that the banana was more prominent for him. These muffins were still light as well, not dense and heavy because of the whole wheat flour. I ate way too many of them that first day I made them, which pretty much is the opposite of healthy eating. But at least I was overeating on these muffins instead of donuts, right? I ended up putting the rest in the freezer to see how they would do frozen. And happily, I can report that these taste great after they thaw. I do need to mention that my kids didn’t really care for these. Honestly, I think it’s just because they aren’t accustomed to eating “healthy” food. 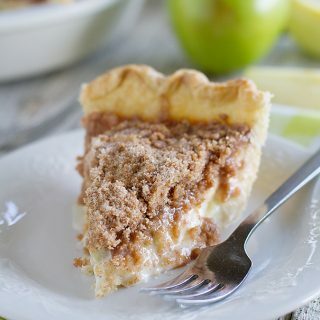 I made a second batch and gave some to a neighbor, and she said her kids gobbled them right up, so I think I just need to work on some healthy eating habits for my kids – haha! 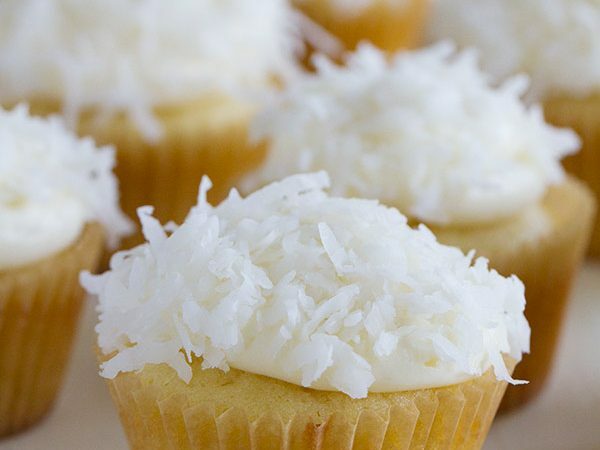 But I will happily make a whole batch of these for myself and hide them in the freezer. I can always use a good breakfast hiding away for me! Looking for more healthier breakfast ideas? Combine the dates and the orange juice in a small saucepan and set over medium heat. Bring to a boil, then cover the pan and reduce the heat. Allow to simmer for 20 minutes. Remove from the heat and allow to sit for 5 minutes. Preheat the oven to 350ºF. Line 16 muffin tin cups with liners. Spray with nonstick cooking spray. 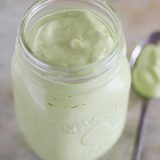 In a food processor or blender, combine the date and orange juice mixture with the buttermilk, banana, butter, vegetable oil and vanilla. Process until smooth. In a large bowl, combine the bran, flour, baking powder, baking soda and salt, stirring with a whisk to mix completely. Add the mixture from the food processor and stir together just until combined. Stir in the eggs just until combined. Spoon the batter into the prepared cups, filling evenly. Bake until a tester inserted in the middle comes out clean, about 22-25 minutes. Remove from the pan and allow to cool completely.